Another scorching summer has led to record-breaking wildfires across California, including three major brushfires in Lamorinda. As residents contemplate landscape updates in the coming year, it is important to be aware of crucial guidelines that will aid in smarter landscaping decisions.  Create fire-safe zones using stone walls, pathways, and patios.  Cover bare spaces with rock, gravel, and gardens.  While fire-proof plants don't exist, choose high-moisture plants that grow close to the ground and have low sap and resin content.  Avoid continuous tree or shrub canopy adjacent to the home or other structures.  Do not place medium to large shrubs beneath trees.  Make sure to have a defensible space of 100 feet around your home, which is required by law and includes two zones: Zone 1 - or "lean, green, and clean zone" - extends 30 feet out from buildings, structures, and decks. Remove all dead plants/grass/weeds/debris from yard, roof, and gutter. 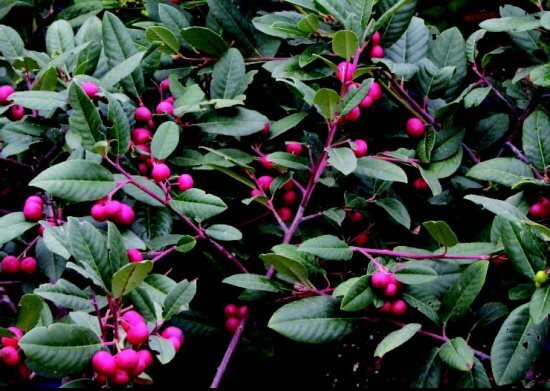 Trim trees regularly, keeping branches at least 10 feet from other trees. Zone 2 - or "reduced fuel zone" - fills the remaining 70 feet (or to property line). Be sure to cut grass down to a maximum of four inches high, remove fallen debris, and create horizontal and vertical spacing between shrubs and trees. 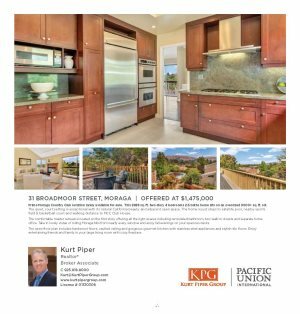 Moraga-Orinda Fire District Chief Dave Winnacker reinforces the importance of firescaping: "MOFD encourages residents to consider fire resistant landscaping to increase the defensible space around homes and to make our community more resilient and prepared for a wildfire event. These passive measures significantly increase the survivability of homes and will dramatically slow the advance of fire, giving responders valuable time to suppress a fire before it spreads."  Vines: cape honeysuckle, and potato vine. 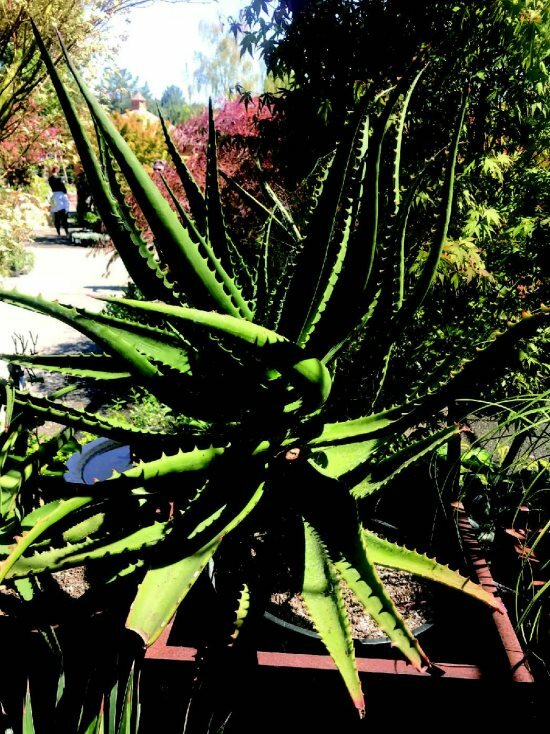 For a comprehensive list of plants with favorable and unfavorable fire performance ratings, visit diablofiresafe.org/tolerance. 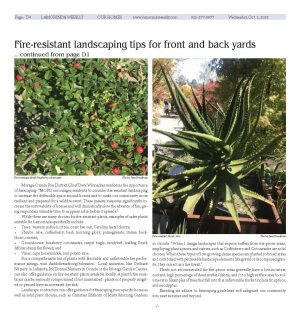 Local nurseries, like Orchard Nursery in Lafayette, McDonnel Nursery in Orinda or the Moraga Garden Center, can also offer guidance on fire-resistant plants available locally. A plant's fire resistance can be seriously compromised if not maintained: plants not properly irrigated or pruned have an increased fire risk. 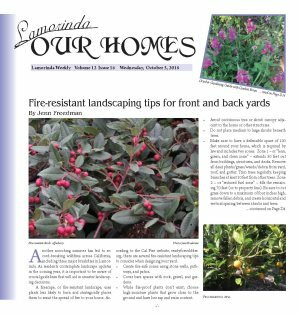 Landscape contractors can offer guidance for firescaping your specific home as well as solid plant choices, such as Christian Ehrhorn of Misty Morning Gardens in Orinda. 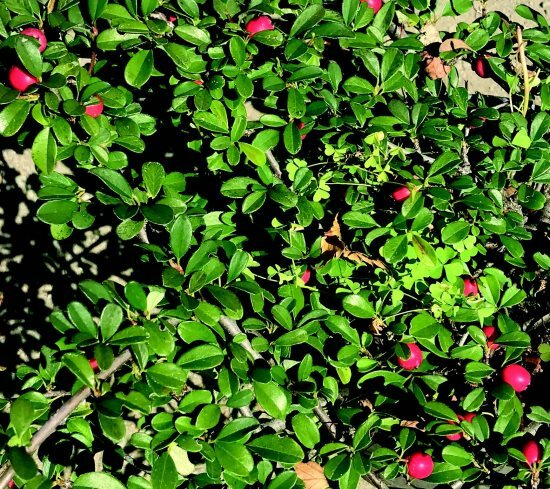 "When I design landscapes that require buffers from fire-prone areas, employing plant species and natives such as Coffeeberry and Cotoneaster are solid choices. 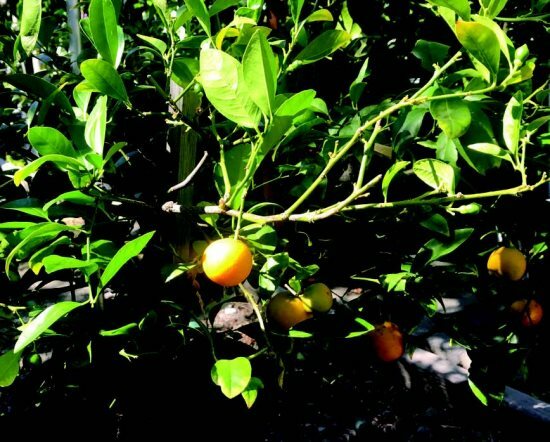 When these types of low-growing dense species are planted in broad areas and combined with permeable hardscape elements like gravel or decomposed granite, they can act as a fire break." Plants not recommended for fire-prone areas generally have a low-moisture content, high percentage of dead matter/debris, and/or a high surface area to volume ratio. Examples of trees that fall into this unfavorable bucket include fir, spruce, and eucalyptus. Ensuring we adhere to firescaping guidelines will safeguard our community into next summer and beyond.